Saturday, 26 Oct 2019 at 7:00 PM . The UK’s finest tribute to The Specials. 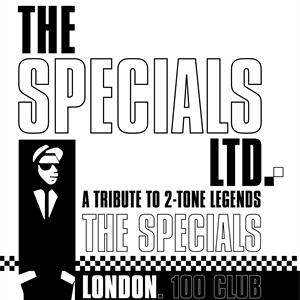 The Specials Ltd are the UK’s most authentic and original tribute to 2-Tone Legends, The Specials. The Specials Ltd recreate the passion and enthusiasm of The Specials, bringing back memories of those who were there first time around and showing younger fans what they missed. The Specials Ltd are a 9 piece band full of energy, excitement and accuracy, performing Specials favourites such as Gangsters, Too Much Too Young, Do The Dog, Message To You Rudy, Stereotype, Rat Race, Do Nothing, Monkey Man, and Ghost Town.